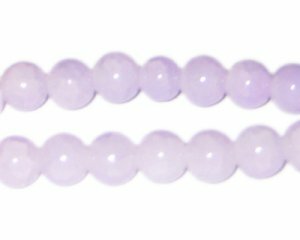 These are 12mm Light Amethyst-Style Glass Bead, approx. 18 beads on an 8" string. Just awesome deals and great service! My first order arrived quickly, and I've already had to purchase more items because I ran out. Colors and styles are amazing.Love this site!!! !